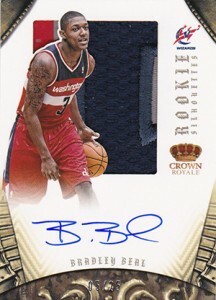 With a lineup that consists strictly of autographs and book cards, 2012-13 Panini Preferred Basketball has quickly caught on in a big way. Taking several popular designs from the past, particularly from the company's Pacific Trading Cards portfolio, collectors are clamoring for the high-end product. Especially popular are the Silhouettes. 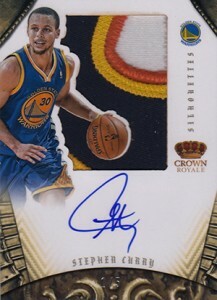 The distinct autographed memorabilia cards have a die-cut player image cast on top of a jumbo jersey or patch piece. The elegant cards are capped off with an on-card signature. There are more than 80 different Rookie Silhouettes cards, including Kyrie Irving. Early on, base versions of the superstar's rookie card was hovering around $800-1,000. Redemption cards for Prime versions numbered to 25 reached as high as $5,200 during the opening week of sales. 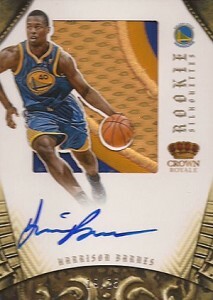 2012-13 Panini Preferred Basketball Silhouettes aren't limited to rookies. One hundred veterans and retired stars are also featured. Not only do the cards look good, but the checklist is also bolstering the intrigue. Kobe Bryant, Scottie Pippen, Larry Bird and Blake Griffin are just some of the superstars with Silhouettes. Also drumming up a lot of interest are the Panini's Choice Autographs. The die-cut cards are a throwback to Pacific's Kramer's Choice inserts that were, for the time, tough to find. 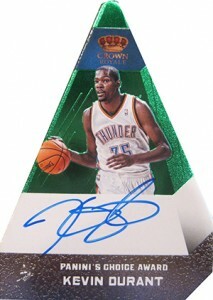 Shaped somewhat like a pyramid, Panini has added signatures and colored parallels to the mix with strong results. 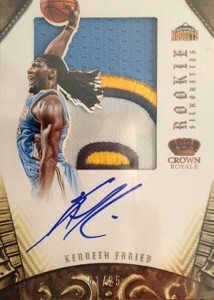 Below is a real-time hot list of the 50 most-watched 2012-13 Panini Preferred Basketball cards currently listed on eBay. To get a small snapshot of realized prices, click on the tab above for a list of the top 30 opening week single-card eBay sales. GLEN RICE 12-13 Panini Preferred SILHOUETTES PRIME LOGO PATCH AUTO SP #02/25 ! 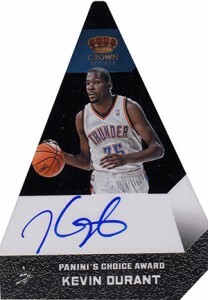 The following is a list of the top 30 opening week 2012-13 Panini Preferred Basketball single-card sales realized on eBay between April 24 and May 1, 2013, the set's first week in release. 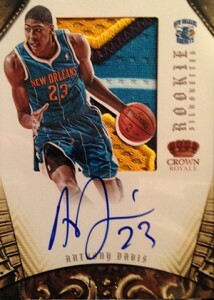 2012-13 PREFERRED SILHOUETTES NORRIS COLE RC AUTO 3 COLOR PATCH 16 25! !